33 Auction Pte Ltd, incorporated and registered in Singapore in 1999, is part of our owner Ms. Linda Ma's vision of developing an integrated visual arts business to support the development of visual arts in Asia. 33 Auction taps on the 20 years of expertise and experience of Linda Gallery in the Asian Contemporary Arts Scene. As one of the region's foremost gallery in Asian Contemporary Art Scene, with branches in China, Singapore and Indonesia, we are privileged to be closely associated with many important art institutions, artists, prominent collectors as well as curators. 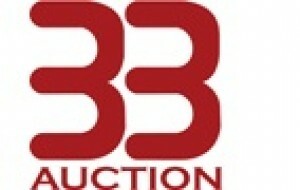 33 Auction thus strives to bring in the finest works around the world to be offered under the hammer. With a practiced eye for fine investments in Art, 33 Auction's goal is to become a major player in Asia's Arts Auction Scene.